From the inspiration photo I tried to draw from the colors and the ornaments. I used the retired color Taken With Teal but after looking the photo more I think Bermuda Bay would have been closer but oh well! 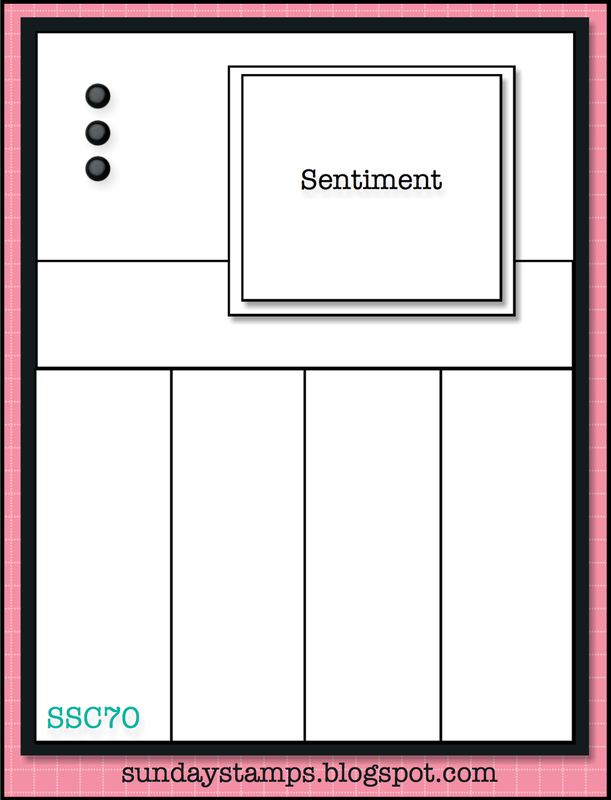 The patterns from this DSP worked well with the photo and what I envisioned in my head. I know there is no red in the photo but I liked it against the teal. I originally was just going to emboss the top red portion of the card with the snowflakes but in the end I did the whole panel and I must say, I really like how it came out. It also came out pretty patriotic looking didn't it? LOL That wasn't intended but I sure don't mind it! 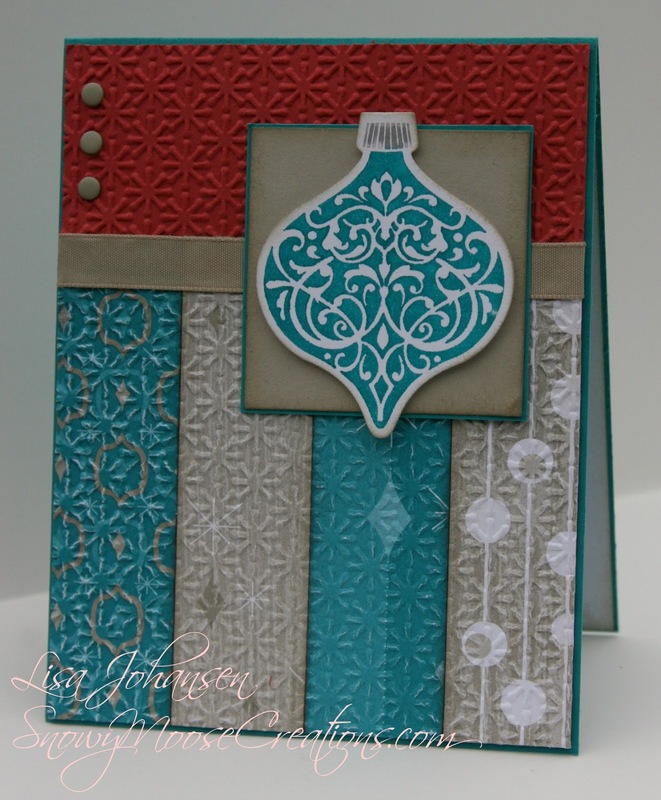 My sketch inspiration came from the current sketch at Sunday Stamps. 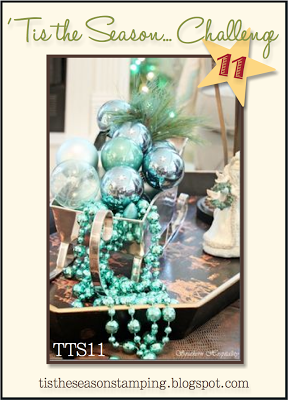 Fabulous ornament card! I love how you used the sketch to feature the beautiful ornament and the pretty colors you chose. Thanks for playing along with us at Sunday Stamps--please join us again soon! What a fabulous holiday card! I love that you embossed the entire background - showcases that lovely ornament perfectly. Thanks so much for sharing with us at Sunday Stamps! Love this holiday card Lisa! The ornament and the colors look great! The texture on the background paper looks amazing! Thanks for joining us at Sunday Stamps! So very elegant, Lisa. Love the colors and design! Wow - I love this Lisa! All of the distressing is wonderful as well as all the embossing. So glad you join us at Sunday Stamps.